Sales Managers: Are You Adapting to Modern Sales? While I don’t have a full head of gray hairs, I do have a handful in the temple region. I’ve spent 20-years in sales and sales management, so have some personal experience with the before and after of the massive transformation that is happening in sales. There are three main components to this transformation – the buyer, the seller, and the sales manager. As stated by CEB, today’s buyer is 57% of the way through the buying process before ever talking to a salesperson. With the growth of the Internet, review sites, and social media, the buyer is now in control. Today’s salesperson has grown up in a world of technology. They crave and expect constant feedback on how they’re doing. They embrace technology to the point that they’re adopting it faster than the company can keep up. Their peers are people they collaborate with and want to learn from openly, which is different than the old school sales teams, who were more lone wolves and were competitive with each other in a way that sometimes got ugly. 1. Own Your Numbers – Today’s millennial salesperson wants constant feedback, and your company is empowered with a CRM system and likely countless other sales and marketing technologies to measure everything your salespeople are. So prioritize the 3 to 4 key CONTROLLABLE activities and metrics that lead to sales at your company, and set those as your key performance indicators (KPIs) for your sales team. 2. Know Your People – Keep a constant pulse on how your team is performing so you understand who are the top performers, middle performers, and bottom performers. On a percentage basis, those three groups typically lay out as 20%, 60%, and 20%, respectively. Make sure you spend your time with them in that same proportion. Here’s some great research as to why. 3. Manage in Real Time – Knowing your people allows you to be the enabler of collaborative environment, where everyone is learning from each other, and performance numbers are front and center. It’s what we call creating a culture of performance. You accomplish this by taking your primary sales KPIs and looking at them every day, in addition to broadcasting them around in the office in real time. 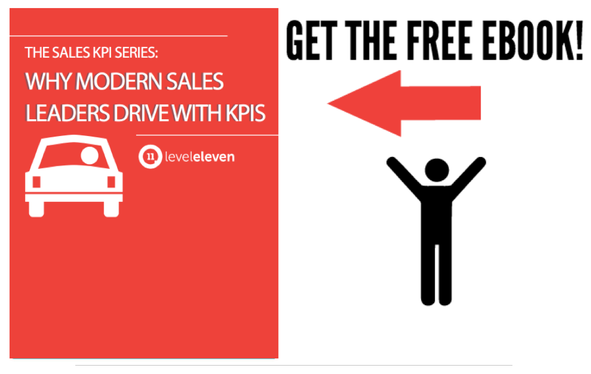 When it comes to your weekly one-on-ones, take your sales KPI metrics and review them together every single time. This is your window into how your salespeople are allocating their time, and they need you to help hold themselves accountable to what matters. This month’s sales number might look great, but don’t let them slip on prospecting meetings or proposals. Otherwise next month’s number could be in jeopardy. There’s a lot that goes into being a great sales manager, but these are three key elements that will help you get off to a fast start. The buyer and the seller are changing, and there’s nothing you can do about it. Sales managers should be doing these 3 things to adopt.